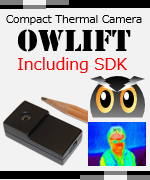 The OWLIFT supports displaying a thermal image on a Web browser for Android. We applied the DeviceConnect to the OWLIFT in order to support this feature. The DeviceConnect is software based on the GotAPI standard that defines an interface to control an external device(e.g. 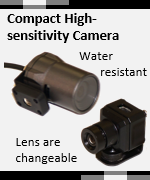 a camera) from a Web browser. Refer to here for more information about the DeviceConnect. You can display a thermal image on a web browser by the following steps. Display a thermal image on Web browser.